Harper, 1952., 1952. 766p. Maps. Excellent early operational study NW Europe D-Day to VE Day, from English viewpoint. Blue cloth. About 5 pages underlined in pen. Spine lettering faded. GOOD COPY. Hardcover. Good. Book. 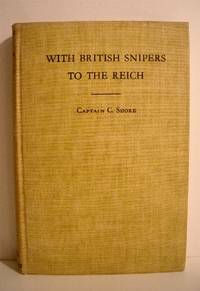 With British Snipers to the Reich.